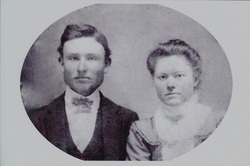 _ George Alexander Clark and Edna Evelyn Thomason were married in Farmersville in Collin County, Texas, where their families had lived for some time. They came to Parker County in 1904. They bought 80 acres of the McKnight survey north of Weatherford. The timber had to be cleared off the land and a house had to be built. Then he began his farming. Their crops were cotton, peanuts, maize, corn, sorghum cane, watermelon, orchard, and gardening. George raised hogs and cows. He set up a syrup mill and made sorghum syrup for the community. He raised 100 pound Tom Watson watermelon. George Clark’s mother was Mary Dobbs, the daughter of George Lee Dobbs. His mother’s family owned lots of land north of Weatherford. 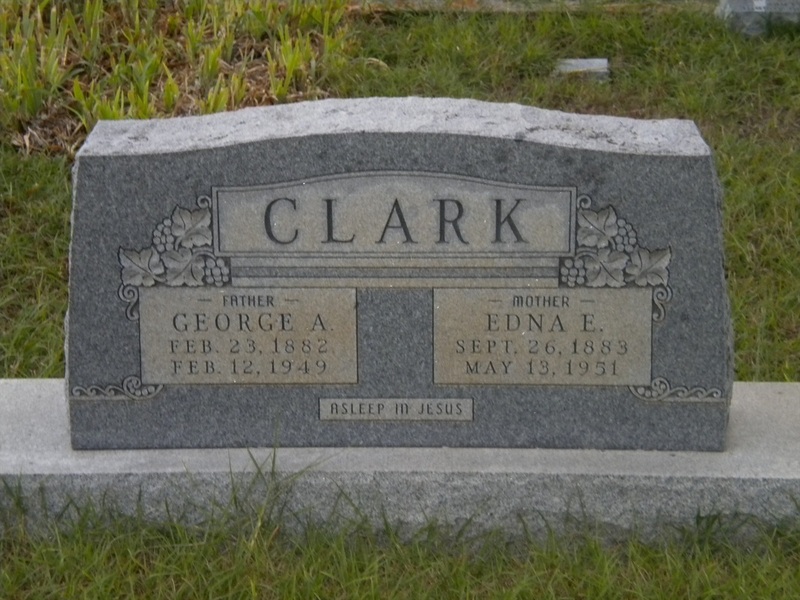 His uncle Jim Clark donated the ground for the Clark Cemetery, Northeast of Weatherford, which was the Wright Community. Wright School was the school where his children attended. They had nine children: Virgil, Buddy, Arthur, Mary, John, George Monroe (died at birth), Joe, Dona, and Leland. The family attended church at Bethel Baptist where the Dobbs donated the ground to build the church. Their home still remains north of Weatherford.